An ancient woodland, once part of Sir Robert Clive’s estate, Walcot Wood is an important environment for many species including veteran oaks, rare lichens and invertebrates – and it’s a wonderful place for a walk. Grid Reference SO 343 839. Victorian manor house with William Morris interiors and colourful garden. 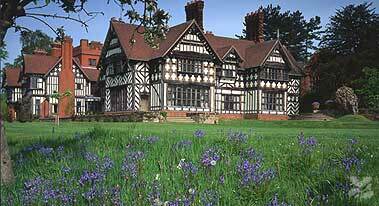 Wightwick Bank, Wolverhampton, West Midlands WV6 8EE. Meeting Point: Main car park. 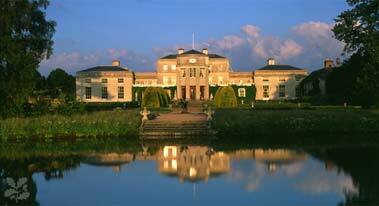 Late 17th-century mansion with art collection, lakeside garden and estate. Quatt, nr Bridgnorth, Shropshire WV15 6QN. Meeting Point: Main car park by the house or as advised by workday leader. 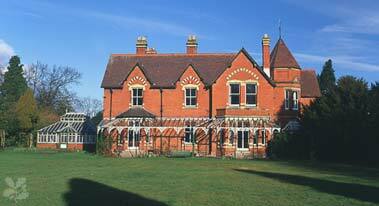 Late-Victorian gentleman’s suburban villa. 200 Holyhead Road, Wellington, Telford, Shropshire TF1 2DR. Meeting Point: Car park by the house. 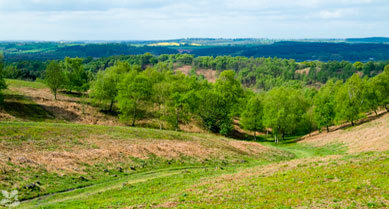 Extensive and beautiful area of upland heath. 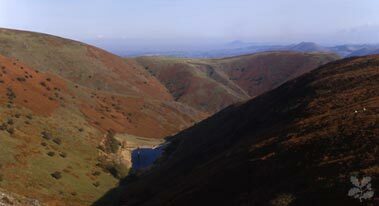 Carding Mill Valley, Church Stretton, Shropshire SY6 6JG. Meeting Point: Cardingmill Valley, just below the Chalet Visitor Centre/Cafe. 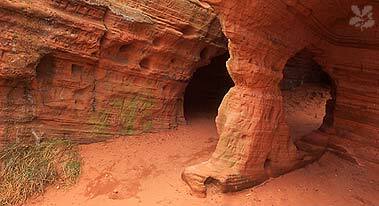 High sandstone ridge with fascinating rock houses. 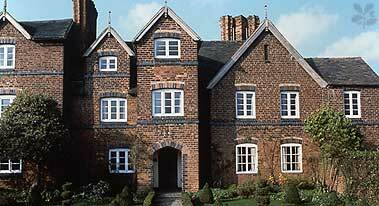 The Warden’s Lodge, Comber Road, Kinver, nr Stourbridge, Staffordshire DY7 6HU. Meeting Point: Car park at junction of Comber Road & Church Hill. 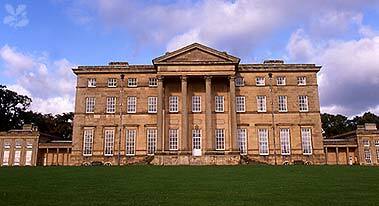 Rare survival of a complete estate, with all major buildings including mansion house, servants’ quarters, model farm and walled garden. Milford, nr Stafford, Staffordshire ST17 0XB. Meeting Point: Main car park opposite the Visitor Centre. Elizabethan house, famous for its association with Charles II. Moseley Old Hall Lane, Fordhouses, Wolverhampton, Staffordshire WV10 7HY. 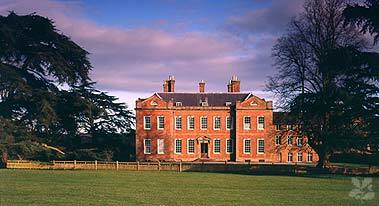 Elegant 18th-century mansion with Regency interiors and deer park. Shrewsbury, Shropshire SY4 4TP. Stone-built house of Elizabethan origin. Morville, near Bridgnorth, Shropshire WV16 5NB. Meeting Point: In front of the Hall close to the wall on the semi-circular driveway. Downs Banks is an area of lowland heath, near Stone. It was presented to the National Trust in July 1950. Grid Reference SJ 900370. 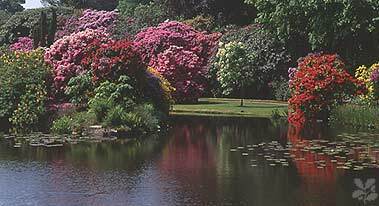 A rare and exciting survival of a high Victorian garden. Grange Road, Biddulph, Staffordshire ST8 7SD. 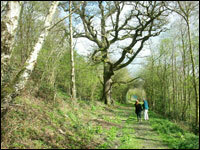 Set in the Shropshire Hills Area of Outstanding Natural Beauty, a wooded limestone ridge of high biodiversity. Meeting Point: As advised by workday leader.